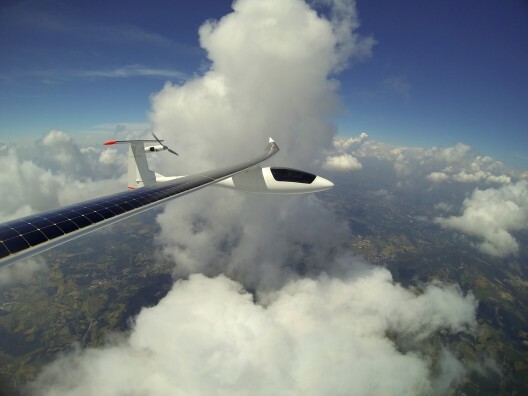 Eric Raymond has been designing and building solar-powered aircraft for 28 years, and flew Sunseeker 1 across the United State in 1990, Sunseeker 2 over the Alps in 2009, and has started touring Italy in the world’s first two-seat sun-powered aircraft, the Duo. After three such outstanding efforts, what direction will his new design take? He took away any mystery on that today by unveiling his fourth aircraft, an optionally manned, high altitude platform, SUNSTAR. Eric claims, “more performance potential than any of the other projects now under development. 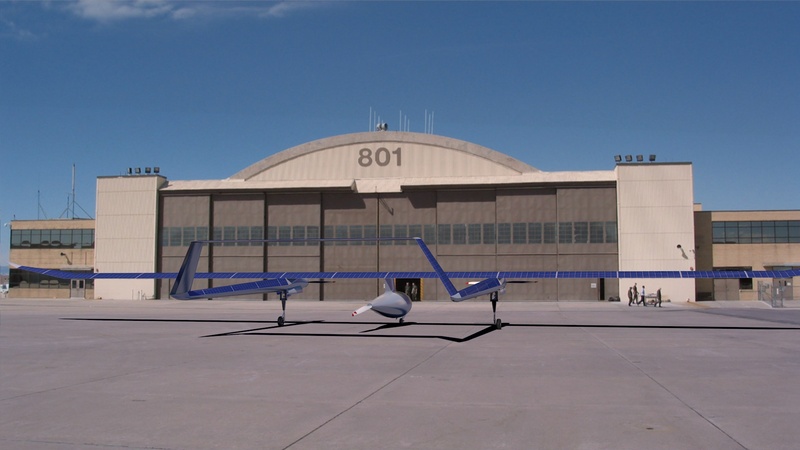 Capable of unmanned flight for months at a time, the airplane can also fly with a pilot for shorter missions, but its primary mission is as an unmanned telecommunications platform, staying on station longer than humanly tolerable. Eric Raymond adds this perspective, “”What we are designing is known as an atmospheric satellite, which operates and performs many of the functions as a satellite would do in space, but does it in the atmosphere. Uplink and downlink speeds will be far better than a satellite, due to the shorter distance (than from a space satellite).” At the same time, one Sunstar aircraft serves a much larger ground area than any land-based tower. The three-motor configuration allows the airplane to take off on the front motors, climb to altitude, and deploy the very large pusher propeller at the rear of the cargo/pilot pod. Once that propeller, optimized for high altitude, holds the airplane’s station altitude, the two motors on the booms shut down and their propellers fold back to minimize drag. Solar-Flight adds, “This central motor is designed for the low power cruise condition, for minimal power consumption while on station. To be flown initially with a pilot on board, then optionally manned, the airplane will eventually achieve fully autonomous operation, subject to the governing country’s regulations. “The inclusion of a manned cockpit in the prototype allows much more freedom in testing, considering the restrictions placed on un-manned aircraft over populated areas.” From the beginning, all controls will be “fly-by-wire,” probably necessary because of the long span and the ability to add and remove wing panels for different missions. 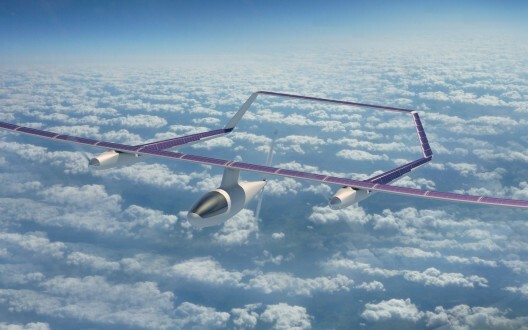 Prototypes of SUNSTAR’s systems are already flying in Solar Flight’s flagship, the Sunseeker Duo. Hi Eric and team. I’ve been thinking about something and I’m not sure whether it has been tried yet…has helium been considered yet(I’m sure it has) as an assistant sustainer of sorts? Bladders in the wings or spare spaces and regulated helium fills and assists with buoyancy…? 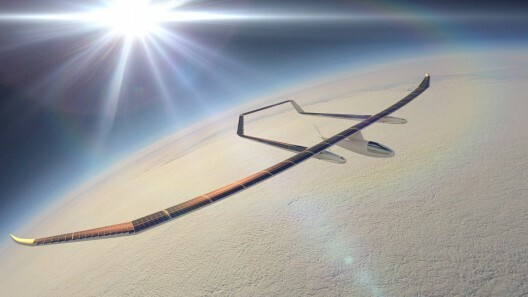 Great concept, it appears to be extremely competative with satellites on a specific performance basis. I can probably help with finding interested partners… What do you think it will take to get to a proof of principle demonstration flight/series (dollars & time)?